Located in the HGA Building, Room 307, the Anheuser-Busch School of Business opened in the fall of 2005. Harris-Stowe State University is one of the most dynamic campuses in the St. Louis area. In 1998, the University opened the AT&T Library and Technology Resource Center directly across from the Dr. Henry Givens Jr. Administration Building. The AT&T Library showcases state-of-the-art technology and is a favorite of students and faculty for its research and training facilities. As part of the MOBIUS Cluster of libraries, students have access to comprehensive research materials. It is 21st-century technology for 21st-century learning. The AT&T Library was built with exceptional access to a variety of technological resources. The Telecommunity Room boasts access to satellite programming and Web seminars and with a capacity of 50, the location makes an ideal venue for distance-learning initiatives. The George H. Hyram Seminar Room, also located in the library, is perfect for teleconferencing and live meetings with its boardroom table, which seats up to 20 individuals. The Computer Lab is a favorite room for teaching and training, with up to 17 computer stations for group-learning scenarios. The AT&T Library's open access area also contains high-speed Internet connected client stations. A casual environment, the open access area provides an excellent place for students to relax and browse the Web or do major research for their courses. TECHNOLOGY FEATURES AT A GLANCE: Dell 2+ GHz computer stations, MOBIUS access, high-speed Internet, 50-inch plasma display (Seminar Room), 42-inch plasma display (foyer), 8-foot rear projection screen (Telecommunity Room), fixed forward-projection screen (Computer Lab). Renamed in 2005 in honor of Dr. Givens' many years of service to the University, the Dr. Henry Givens Jr. Administration Building is the flagship of the University’s campus. Designated as a historical site, the administration building houses most of the classrooms and support services associated with the University. The most popular offices include the Office of Admissions (Room 009), Office of Advisement (008), the Office of Financial Assistance (Room 004), the Office of the Registrar (Room 007) and of course, the Office of the President (Room 108). One of the jewels of the building is HSSU's Don and Heide Wolff Jazz Institute, among the finest privately-owned jazz collections in America. Preparations for expanding the collection are currently underway. The administration building is truly the hub of student activity. Members of the student population enjoy gathering in the University’s Annex for snacks and conversation between classes and events. 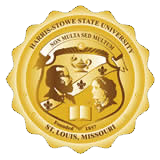 It is also the place where students often have the opportunity to mingle with various University administrators, instructors and staff, all of whom make an effort to spend time with students who are interested in sharing ideas and experiences during their time at Harris-Stowe State University. Students at the University will be happy to find open, wireless Internet connectivity almost everywhere in the building, so bring a notebook computer or other wireless device and feel free to logon and access the world! TECHNOLOGY FEATURES AT A GLANCE: Wireless and wired Internet connectivity throughout, five computer labs for classes and study, SmartBoard enabled classrooms and mobile SmartCarts. Harris-Stowe is dedicated to the pursuit of learning, which doesn't always take place in a traditional classroom. The Emerson Performance Center opened in 2004 to allow our students to engage in the complete college experience. Our growing athletics program found its home in and around the Emerson building with its new training facilities, basketball court and an adjacent soccer field. Visitors are encouraged to visit our Athletics' website to learn more about our many programs, access scores and rosters, and to learn more about how to become a part of the athletic community at HSSU. The Emerson building is also home to our fine-arts programs and devotes half of the building to art studies and theater. The Bank of America Theatre is a gorgeous stage for many of the University's plays and concerts. Superb lighting and acoustics allow developing actors and singers to experience all that live productions have to offer. BUILDING FEATURES AT A GLANCE: The 227-seat capacity theater, sound-proof practice rooms, professional dressing rooms, Green Room, 2,490-seat capacity gymnasium, training room, weight room and fitness center, dark room, kiln room, expansive art room and concessions. Harris-Stowe State University’s newest residence hall opens fall 2011 and includes 200 beds for freshmen students. All freshmen will enjoy suite-style facilities, which include a furnished living room, kitchenette, dining area and private bathrooms. Some of the suites are single-bed suites, with a private bedroom for each student, and some of the suites are double-bed suites in which two students share a bedroom. Every floor includes a lounge, and studying is made easy with two quiet study rooms in each wing. Students need not worry about trudging through the snow or rain to enjoy a meal as the new residence hall houses a state-of-the-art campus dining facility, which includes a private meeting room. Other building amenities include a cardio fitness room, laundry facility, mailboxes, community kitchen, 24-hour vending and a public safety office, all located on the ground floor. The Hornet Dining Hall is also located on the ground floor of Bosley Hall. The Dr. Henry Givens, Jr. Administration Building, which houses most classes, is only a two-minute walk from both residence halls. For more information about living on campus, visit the Residential Life website. The Rev. Dr. William G. Gillespie Residence Hall and Student Center (GRH) opened August of 2006. The building was named for Harris-Stowe State University’s longest-serving regent, Rev. Dr. William G. Gillespie. Gillespie Hall houses 228 students in four-bedroom suites, equipped with a common living and dining area, kitchenette and two bathrooms. Additional amenities include a work-out facility and laundry room. Located in the GRH Student Center are the Dean of Student Affairs, Office of Student Activities, counseling and health offices, game room, computer lab and University bookstore, all of which are open to residents and non-resident students of Harris-Stowe. Gillespie is the first residence hall in the history of Harris-Stowe. The HSSU Department of Residential Life is committed to offering services that support the academic mission of the University and to providing opportunities for the students’ growth and development in a living-learning community. For more information about living on campus, visit the Residential Life website. Built in 2009, the William L. Clay Sr. Early Childhood Development/Parenting Education Center is a $17.5 million world-class facility, which houses Harris-Stowe State University’s Early Childhood Education major. The Early Childhood Center can accommodate 120 children in its full-day, yearlong childcare program. Children can learn about technology and develop hand-eye coordination on child-sized computers in the learning lab, and the building surrounds a courtyard with an outdoor playground. The 50,000 square-foot building also features a library for parents, a laundry room, art area, indoor playroom, a therapy room, nursing room, the observation room, faculty/staff lounge, two conference rooms and multiple offices. Harris-Stowe is seeking Gold LEED certification, a third-party certification verifying high performance green buildings. The center’s overall building water use has been reduced by 20 percent, overall building energy use is 25 percent less than a typically constructed building, and more than 20 percent of the construction materials are made from recycled materials, to name a few environmentally friendly features. We hope you learned a little about what the Harris-Stowe State University campus complex has to offer. Centrally located in St. Louis, there is no shortage of activities available to students — we are within walking distance of theaters, restaurants and many historical and cultural activities within the city. HSSU is an exciting place to be, and we hope you choose us for your learning needs. Feel free to contact our Office of Admissions at (314) 340-3300 for a guided tour, or visit the Office of Admissions on the Web.